At a nondescript office in Palo Alto, Apple is rumored to have a small team of biomedical engineers researching better methods for monitoring blood sugar, reports CNBC. Apple's work on glucose monitoring is said to have started with former Apple CEO Steve Jobs, who wanted to develop a sensor that could continuously and non-invasively monitor blood sugar levels to improve quality of life. Apple is far enough along in its research that feasibility trials are being conducted at clinical sites in the San Francisco Bay Area, and it has hired consultants to sort out regulatory issues. 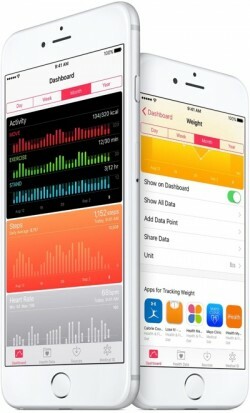 Rumors of Apple's work on advanced healthcare initiatives like diabetes management aren't new. Early Apple Watch information suggested the wearable device would be able to measure things like blood pressure and blood glucose levels. Many health-related sensors that Apple wanted to include in the original Apple Watch were reportedly dropped because the technology was not consistently accurate, but rumors at the time said Apple would pursue its work on more advanced health sensors. Apple has also made several health-related acquisitions and around the time the Apple Watch was in development, hired dozens of biomedical experts. "We don't want to put the watch through the Food and Drug Administration (FDA) process. I wouldn't mind putting something adjacent to the watch through it, but not the watch, because it would hold us back from innovating too much, the cycles are too long. But you can begin to envision other things that might be adjacent to it -- maybe an app, maybe something else." If Apple is planning on more advanced sensors for the Apple Watch, such features are not likely to be included in the third-generation device rumored to be coming in the fall of 2017. Information on that device thus far points towards a smaller update focusing on improving battery life and perhaps adding features like cellular connectivity. While Apple works on its in-house own blood sugar monitoring solution, it has launched CareKit, a platform that allows app developers to create integrated software that allows patients and doctors to better manage medical conditions. Diabetes monitor One Drop was one of the first companies to support CareKit. Non-invasive monitoring would be a big, big deal to a heck of a lot of people. This would be the Apple Watch's "killer app" for anyone with diabetes or pre-diabetes. This would SKYROCKET the market for wearables and the applewatch. With diabetes being so prevalent, and having an apple designed solution to monitoring it, it would be huge. Genius idea, that I'm sure they have been considering for some time. More sensors in the watch like ones that measure glucose are definitely something I want. I'm not afflicted by diabetes but I know how something like that would be life changing to those that are. Non invasive? You need the actual blood to get accurate blood measurement. Not necessarily. You can check blood oxygen levels non-invasively; blood glucose levels are the next step. Type 1 Diabetic for 31 years now, many things have been promised to us over the years so much so that I rarely give any of them any interest until you actually see it getting through the FDA approval process. I can also remember non invasive blood sugar testing being worked on back in the early 90s, there was a diabetes forum on CompuServe (dates me a bit :) ) where it was being discussed. Keep in mind if there were easy fixes we would have them by now, the short and then long term success rates of the various "cures" are pretty bad, islet cell or pancreas transplants can work short term but then the body starts to reject them & back to square one. The big deal with non invasive testing is that it should reduce the cost of ongoing treatment significantly, even if the device was to cost say $500 out of pocket you could still save money, let alone pain etc, over just a few years even with insurance coverage (USA). If Apple doesn't go to stupid on the proprietary connection stuff then something like this would be adopted quickly, guess that would be an interesting test to see if Apple really only wants to make money or truly make a difference in the world. One problem with most systems is that you still need to do some regular tests every day to ensure the system is still accurate enough, IIRC the accuracy of the meters (home use) is still +/-10% or so, just improved accuracy would pretty awesome. As an alternate, for type 1, the hybrid closed loop system Medtronic is about to release is of interest, but to be honest having the pump + another sensor attached isn't exactly exciting but I admit I am interested. I certainly hope we see improvements, back in 86 a blood sugar test took 2 minutes and you had to wipe the blood off of the strip after 1 minute, the current meters are pretty nice in comparison. Would love this. This isn't the first time we've heard about glucose monitoring and the Apple Watch. There were rumours of this type of sensor when it was in the pre-release hype window. Over 35 years as a T1 diabetic - that's a lot of finger prick testing. My big concern would be accuracy. An issue I see with this is the fact that this would take the Apple Watch into a different category - it would now be a medical device. This would require government approval in any market Apple wanted to sell the watch with this feature. Approvals can take a very long time and when the software was updated, the update would also go through an approval process. When you're working with a device that people will make potentially life altering decisions with that's a completely different market. As someone who studies diabetes, especially among tech-savvy millennials, I can tell you that this tech exists, but is in the clinical stages. Apple would have to follow the same procedures if they want FDA approval. Thus, I suspect they are working as 'blind' tech developers in conjunction with clinical researchers. This would, indeed, be exceptional tech, if it came to market. I'm an Anaesthesiologist/Anaesthetist. I cannot see any way that blood glucose can be measured directly and accurately in a non-invasive way. Not physically possible and you sure as hell aren't going to detect glucose with 'light' in vivo. Pulse oximeters measure the differential absorption of two wavelengths of light through the pulsatile component of blood to determine the haemoglobin saturation (which doesn't tell you the full story about actual oxygen carrying capacity - ie. you might be anaemic). To properly check 'blood oxygen levels' you absolutely, positively need a blood sample. Even if it were possible it's one thing to collect the data, and another thing entirely working out what to do with it all. For diabetics it's useful. For the rest of the population it's a complete waste of time. You don't need to constantly measure your blood glucose levels during the day. All this just reeks of techno-narcissism with a good dollop of the Dunning-Kruger Effect helping drive it.